Cockroaches are frequently associated with dirty or unhealthy living conditions. 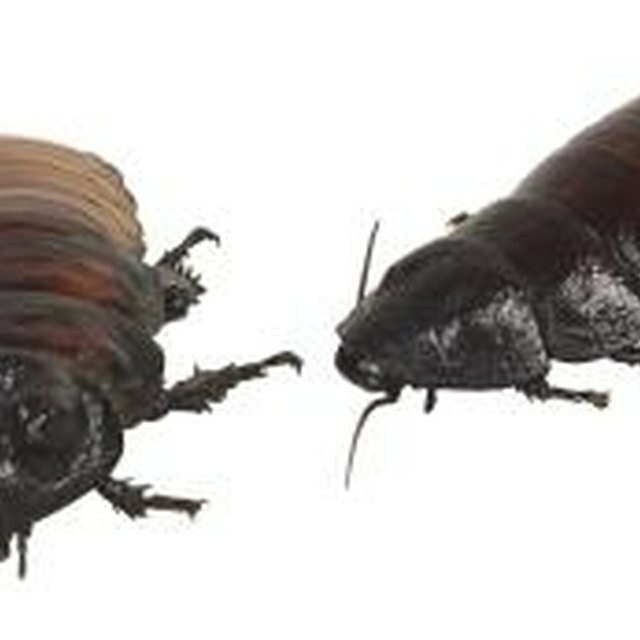 This is, in part, because of their ability to transport microbes on their bodies, though there has been no established link between cockroaches and diseases or outbreaks. They do seem to manage to find their way into every nook and cranny of a home, leaving behind a repulsive aroma and ruining food supplies. Roaches can also be notoriously difficult to get rid of once they’ve taken up residence. Fortunately, there is a simple, homemade repellent that is both inexpensive and effective. Boric acid is a popular component in many roach remedies. The chemical is lethal to cockroaches but relatively safe to use, being only mildly toxic to people and pets. When roaches come into contact with boric acid, it adheres to their legs and antennae. Later, during the grooming process the compound will be ingested, absorbing the majority of bodily fluids and causing death through dehydration. To make a boric acid repellent, mix ¼ cup of boric acid (available at most pharmacies) with ¼ cup powdered sugar. Measure half of this combination into a small bowl and add enough water to make a thick paste. This will give you a dry powder to sprinkle along baseboards and a sticky paste to apply to more difficult areas. Use a small brush to place a thin coating of dry boric acid powder/sugar mix to the backs of cupboards, along baseboards, along drawers and behind all major appliances. Be sure to use a light dusting only, as the goal is to have the cockroaches walk through the powder, though the sugar should do a reasonable job of attracting them to treated areas. Use a cotton swab to apply a thin coating of boric acid/sugar paste around plumbing elements such as entry points for pipes, under sinks, behind the toilet and around the fixtures for the washing machine. Also rub the paste into any obvious cracks in the walls or fittings. While boric acid is relatively safe, that doesn’t mean it should not be handled with care. Never apply boric acid to any surface which is regularly used in food preparation as this could lead to accidental ingestion. Boric acid may be harmful if swallowed. Additionally, boric acid can cause irritation to the eyes and skin. If you come into direct contact with the repellent, wash the affected area immediately and rinse with copious amounts of water. Additionally, boric acid should not be applied to any areas which are frequented by pets or children.